Sitemaps help search engines better index your Blog.Sitemap is a list of pages of a web site accessible to the users.An XML Sitemap tells the search engine about the pages in your site, their relative importance to each other, and how often they are updated. It can be either a document in any form used as a planning tool for Web design, or a Web page that lists the pages on a Web site. 2.Then login with your Google(or)blogger account. 3.After login-->Click on your website Dashboard(Check image below). 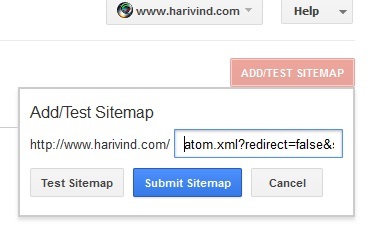 4.Then Go to Optimization-->then choose "Sitemap". 6.Copy & Paste the below link. Branding at the individual, small or even medium level is a difficult endeavor. However, there are little excuses for inadequacies these days as Google makes it more difficult to rank with content marketing that isn’t “brand friendly” – that is, tactics that are one-off gray or black hat link building techniques. Today, we must function as brands, and the reality is that although we imagine companies like Kellogg’s and SeaWorld as the behemoths of brand marketing – companies with lackluster websites but still the ability to generate links eight times quicker than us – we are very capable of reflecting a similar identity online due to benefits of miniature scale we can create for ourselves through the proper marketing channels that brands often experience and build on offline. Many brands have the benefit of content that serves itself, and only need to release it into the wild to see the benefits it can create online. Us small peons don’t, right? Well, the reality is that we do. We can’t ever be Kellogg’s or SeaWorld, but we can have the “publish” button that sites like SEOmoz enjoy – when thousands of eyeballs view their content all at once. I say “introductory” because these allow you to remarket to your consumers for free – and are a few steps to the secondary, more powerful sticky element, SEO. If we guest post or do PPC advertising, if we never capture audience intent through one or more of these sticky elements, we lose the potential to scale, because our cost per acquisition continually rises. This creates a negative brand efficiency if they do not, as customers, follow/like/subscribe to content they enjoy – as such an engagement is an introductory buy-in to your brand identity. Brands have that snowball effect – which is why every Apple event is covered and talked about once one word is leaked out – and why Six Flags can immediately touch thousands of eyeballs on their brand when a press release is opened up. They built it, but they had it bad compared us – they didn’t have the benefit of online, free promotion mechanisms to do it. They had to do it through high cost per acquisition activities like billboard, display and television advertising. It is likely a higher clickthrough rate is a positive signal to Google to actually rank you higher, which then gets you even more clicks – and more links, and so it goes. But that’s not where it stops to create a “snowball effect”. Obviously, hopefully you’ve now established some search result rankings, and some sales. From here, build on that efficiency and “snowball effect” by multiplying effort. If you haven’t heard of Google Plus, Google’s new social network, then perhaps you’ve been living under a stone for the last year. Whilst it’s certainly not yet a Facebook or Twitter, Google is doing everything it can to push and promote it. That’s something that as a blog owner you should give serious consideration to. Taking on the might of Facebook is a huge challenge for Google and having learned many lessons from their previous attempt with social networking called Orkut, this time they’re out to really push G+. Of course I can hear you asking why should I care, I already share my content on Twitter and Facebook which has a far greater reach. The answer is quite simple. Google is giving out plenty of encouragement for you to be active with them. As a serious blogger, you should take advantage of it! So if you’ve gone through your SEO checklist and think you have everything covered, don’t forget to markup your blog with rel=author! The first and most obvious advantage is the ability to have a pretty picture of yourself in the SERPS (search results). You’ve probably seen quite a few sites that have this when you search Google. 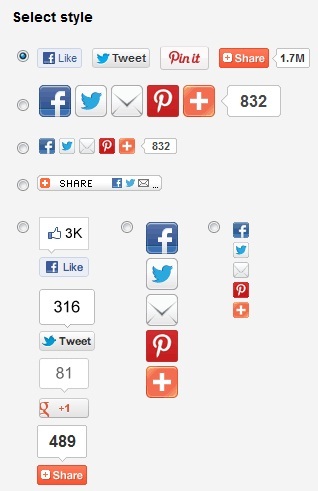 Do you think you’re more likely to click the result with the picture or the one without? The web is becoming more social because ultimately people are social animals. Your picture in the SERPS not only makes you stand out from your competition, but it can make you appear more trustworthy. As the vast majority of blogs aren’t yet using Google authorship, then you really should be! Here’s what it looks like when implemented correctly. Not only this but click through rates within search results are often much higher with sites that have authorship enabled. Bottom line, this means more visitors to your blog. If you even got an easily achieved 10% increase in your CTR, this means an extra 10% of organic search visitors to your blog. Obviously that’s clear value to you, no matter if or how your blog is monetised. A 10% boost in new traffic for 20 minutes of work to set it up is a clear and easy win for you. However, it gets much better. The big picture goes far beyond the ability to have your picture in the search results. That’s just a nice little carrot that’s dangled in front of you. Google wants to stay at the top and to do that they continually need to find better ways to organise and understand the plethora of documents on the web. Pagerank and links which are the fabric of their understanding of the relatedness of the web are buckling under the pressure. To take things further they need to understand who is adding the content and how authoritative these people are within the realm of their topic areas. Authorship is a great way to do this, and it really is a stroke of genius. If they can get webmasters like you to link their blogs and content written around the web to G+, then they can start to understand more about the context of who is building the great stuff on the web. If they can understand who the great authors are then they can use that to rank quality sites much more easily and give their users a much better experience. If you put out great content, then that means you! This means that you need to be giving the right signals to Google that your content is the kind of content that deserves to rank well and to be receiving the gift of the traffic Gods. Do you already get the kind of metrics and interactions that Google loves to see on your blog? Do you get great comments, links, and social shares because of the quality of your blog? Then you should be telling Google that you are the author of this great stuff! Once they know that you are the author you can start to build your ‘author rank’ or agent rank as their patents describe it. Now I’ll be honest, nobody knows if Google is currently using this as a signal for ranking. You have to realise that they’ve put so much effort into it this and it’s likely to be so potent a ranking signal that it’s obvious that it’s coming soon. Delivering quality relevant results is at the heart of what Google wants to do, and you dear reader should see the opportunity to be at the very heart of it from the beginning. Of course we don’t yet know what the full effects of this are likely to be, and this post is not the place for a discussion on correlation versus causation, but hopefully you can see that the potential is huge. Firstly you need to create a personal profile with Google Plus, fill out all the information required, and add a picture of yourself. Note, you need to use an actual real picture of you (a headshot is best). Company logos are not what was intended here. Then you need to add your site (or any others that you post on) as a site that you contribute to in your profile. Finally you need to add the link to your G+ profile page on your blog posts and you’re good to go. If you use WordPress as many are, you’re probably usingYoast’s SEO plugin (which I highly recommend). Yoast kindly has made it easy for you by providing fields to do this within the plugin. Alternatively many other SEO plugins provide this functionality. Once you’ve done this you can test the results with Google’s Rich Snippets testing tool and if it all works you need to wait a couple of weeks. Google already understands more about your site than you think. 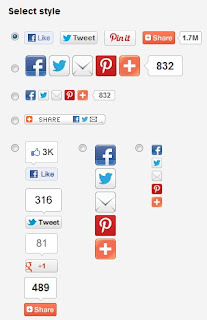 It knows about interactions and social sharing as well as other important metrics. Make sure that this great stuff is linked to you, the real life human being. Why? The answer is because as a ‘known author’ you can take this authority around the web with you. Think of it as a suitcase full of topic authority. If you contribute to other sites as well as your own, then your articles there should get a boost based on your authorship. Also if those other sites do the right things then your posts should further increase your author rank. Finally one of the other obvious connotations of this that you don’t often hear about is the impact of people guest authoring on your site. It clearly will benefit them but think about how it would impact you to have the highest quality authors on your site. Once you see that Google can understand who is authoring all this content you can see that attracting industry thought leaders and experts to post on your site (with verified G+ authorship) is going to massively help. Top experts aren’t going to work with low quality sites, so in effect you can leverage the authority of others to help your own ranking. You should positively encourage expert authors on your site! However you need to make sure that these are quality authors, so your vetting process needs to be even stricter. If you’ve already shared content on other people’s sites through the connections you have then you should contact those site owners. Not only is it likely to be good to get back in touch anyway, but you can explain the importance of authorship implementation. If you’ve contributed to sites all around the web in the past then you may be able to build up very quickly by implementing this on your past work. A head start is always a good thing, but just make sure that you only link quality work back to you. I’ll finally say that if you do any kind of black hat SEO promotion, then you should stay far away from this. Of course most don’t do that stuff, but I thought I’d mention it. By creating authorship and taking it around the web with you, you are linking all of your work. You need to be sure that you’re ‘whiter than white’, otherwise the past might come back to haunt you. Why not tell me what you think in the comments. Have you used rel=author markup and have you noticed a CTR or other improvement on your blog? Harvey Pearce is the owner of SEO Derby a digital marketing company focusing on Search, PPC, CRO, and Social, based in the UK. He has a passion for all things digital and a little boy who is the centre of his world.